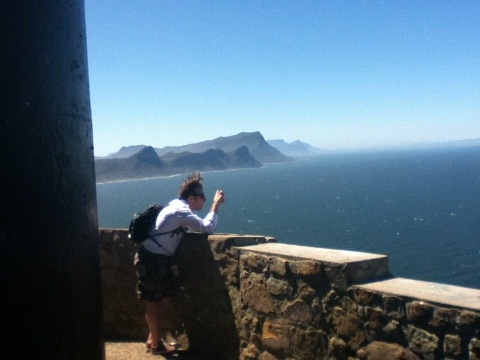 Today (Saturday) was another “rest day” and we all opted to act like tourists. 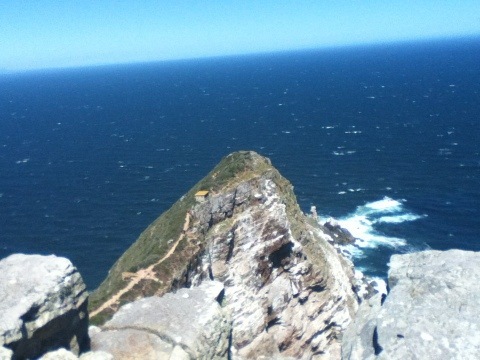 After breakfast, Michael went off on his own while the rest of us decided to rent a car and drive to the Cape of Good Hope (Cape Point): the southern tip of Africa where the Atlantic and Indian OIceans meet. 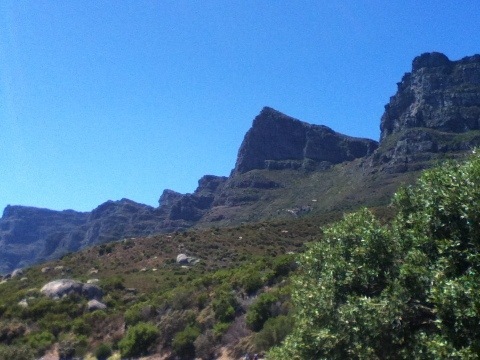 This would allow us to see some of the terrain outside of Cape Town and, on the return trip, see a colony of African penguins. First, though, Jeff and I had a project to complete. We’d noticed a band playing outside during the day near our hotel. 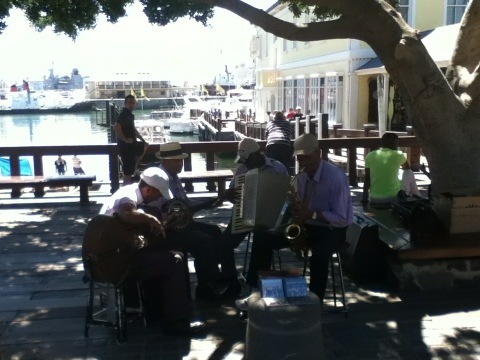 It consisted of four older gentlemen from the Cape Flats area playing an early jazz style, sometimes referred to here as goema or ‘minstrel music‘. The instrumentation was highly effective, but unusual (alto sax, accordion, banjo and cello held and played like a guitar). The cellist only had three strings and Jeff, who had collected donated musical items to be handed out on our trip, happened to have some used cello strings with him. The gift was given and received appreciatively. I hope that it helps Mr. Pieterson and the Guys to continue to make beautiful music. Our road trip began with a visit to Avis where we learned that the driver had to have three items with him or her: passport, driver’s license and credit card. Only Greg was prepared and so he became our designated driver. 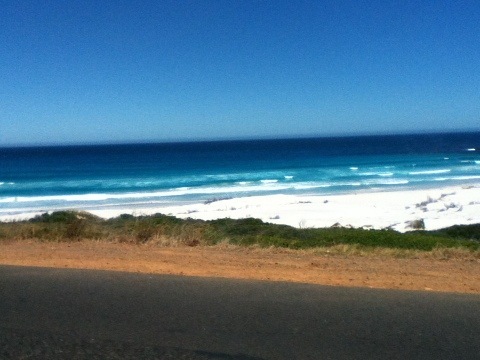 We then headed south along a coastal road. The scenery was stunning. 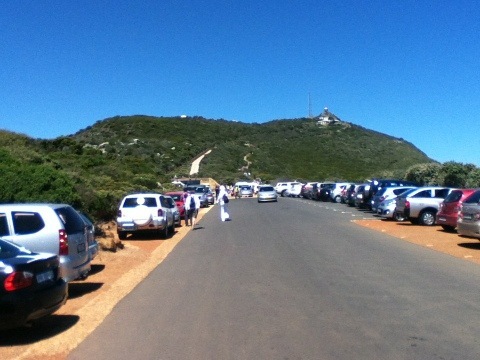 It took about two hours to arrive at Cape Point which was a busy tourist destination replete with giftshops, restaurant, information center, etc. A funicular takes people to the viewing area, but we opted to walk. 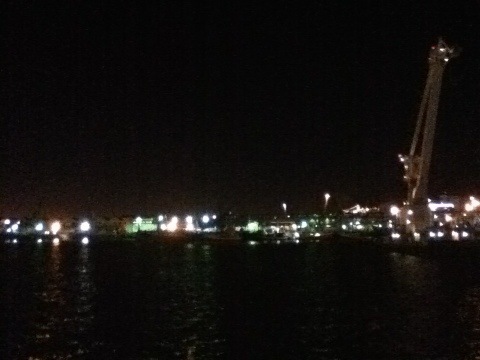 The weather was wonderful! Sunny, warm, and windy. 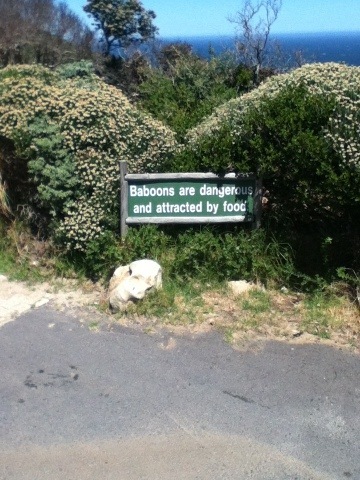 And I do mean windy! At times it was hard to hold on to hats and cameras. The views? Superb! 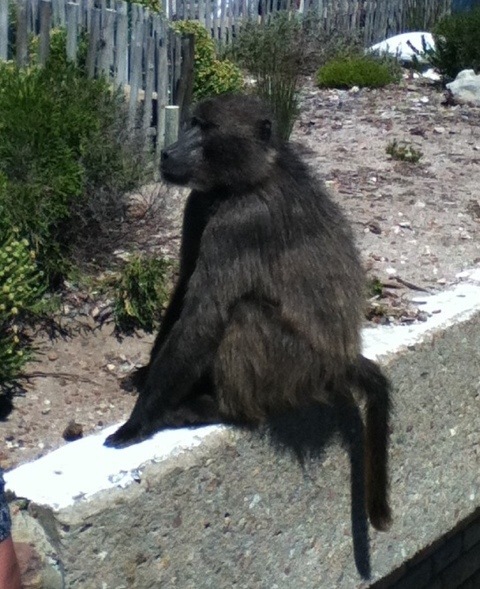 There were lots of baboons hanging out in the lower area near the parking lot and restaurant, where we stopped for lunch after our viewing session. 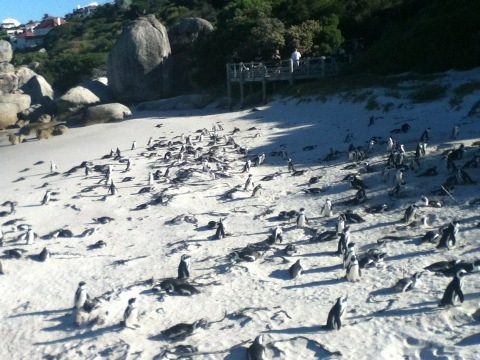 Just before we left, one of them ran in and stole a bag of chips creating quite a stir in the process. 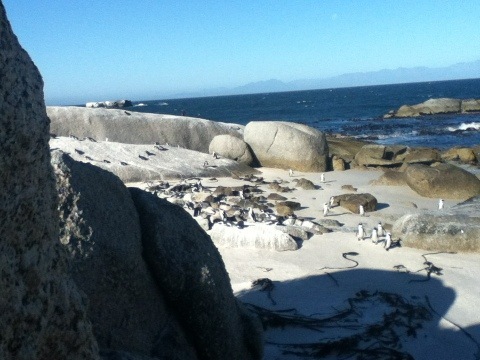 The next stop on our itinerary was Simon’s Town to see a colony of African penguins. 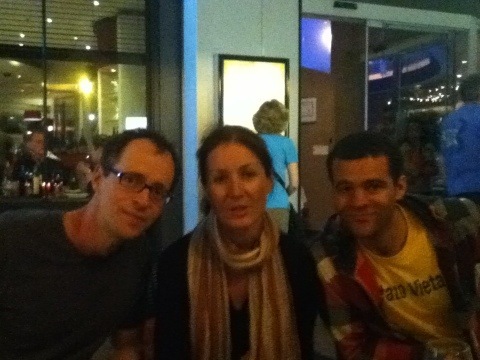 Next up was a farewell dinner near the hotel for Jasna, who was heading back to New York. She’s so easy to get along with and so knowledgeable about the Rhythm Road program and touring that was quite helpful having her along. We look forward to seeing her again in New York in March for the program’s wrapup dinner. FANTASTIC! What a day! 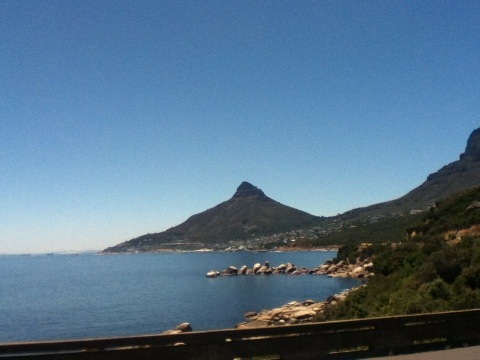 The area around Cape Town is exceptionally beautiful and it was great to see some little part of it! I’ve really enjoyed keeping up with all the new posts, but never so much as hearing about a cello!! I’ll have to try that guitar technique sometime… SO good to hear about everything though!